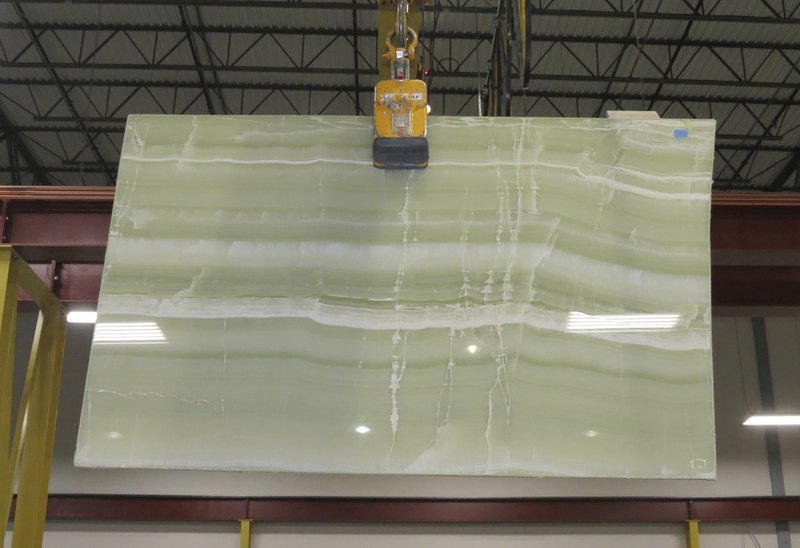 When certain marbles, granites & varieties of alabaster and onyx are veneer cut to just a few millimeters thick, they become translucent. 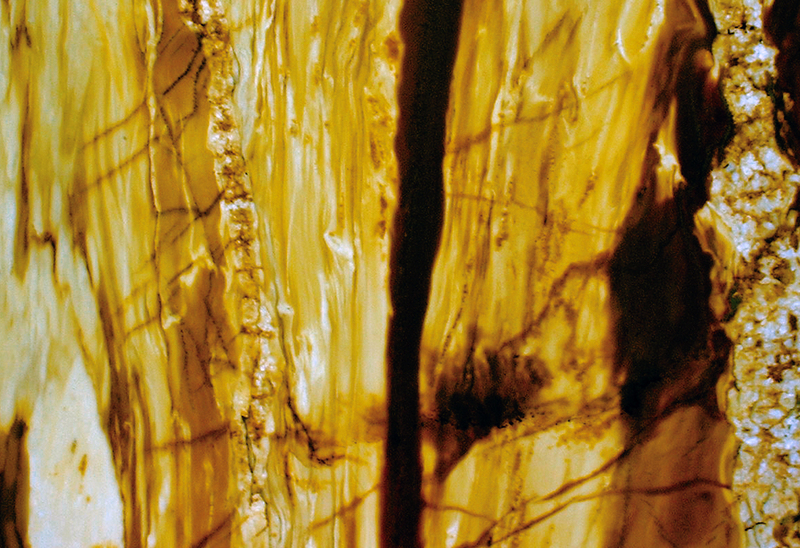 Bonded to glass with a patented process using special uv-resitant resin, the resulting panels can be used in a variety of decorative and architectural applications. Artifex London supplies, large format, extremely thin panels (3 or 4 mm), reinforced on one or both surfaces with extra-clear annealed (float) or toughened (tempered) glass. 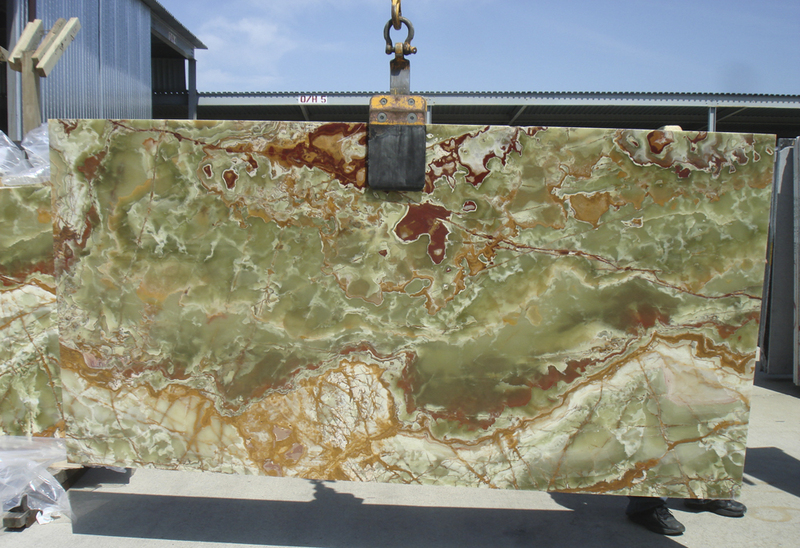 The degree of translucency depends on the thickness of the stone component within the laminate. All GLM panels benefit from being lit either naturally (where the application allows) or artificially using a variety of specialized lighting systems. 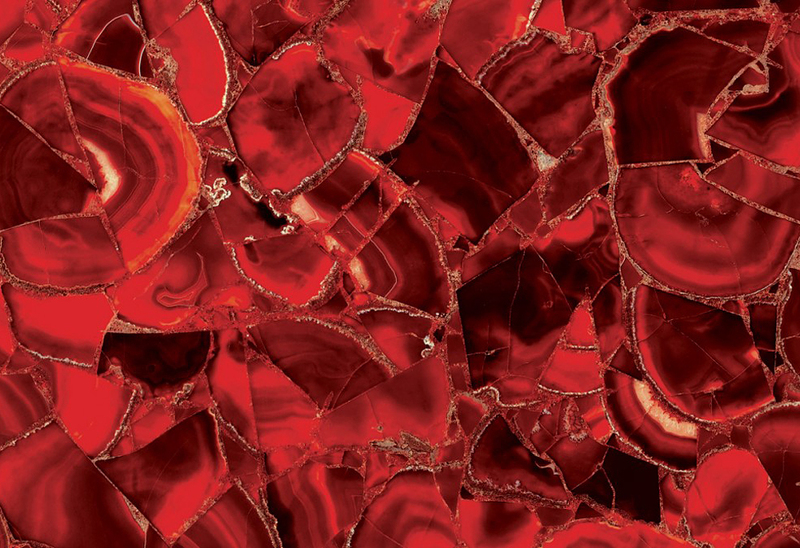 Artifex London is skilled at sourcing beautiful and exotic materials from all over the world. The company supplies glass-laminated panels cut to size. Panels may be randomly arranged; book-matched or reversed book matched depending on the project requirement. 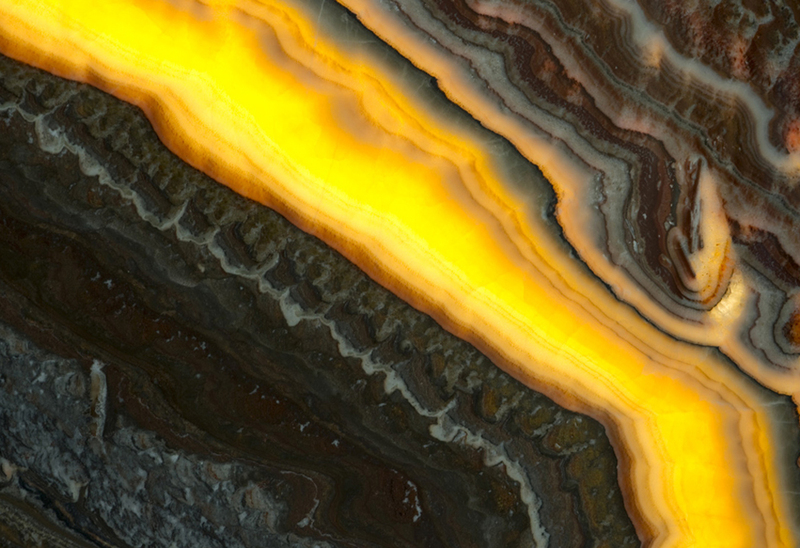 Like agate, onyx is a banded variety of chalcedony differing only in that it displays parallel banding whilst agate displays curved bands. It is a cryptocrystalline stone consisting of fine intergrowths of silica minerals, quartz and moganite. The word onyx comes from the Latin word of the same spelling with its root in a Greek word meaning claw or fingernail – so called because the mineral’s color sometimes resembles that of a fingernail – pink with white streaks. 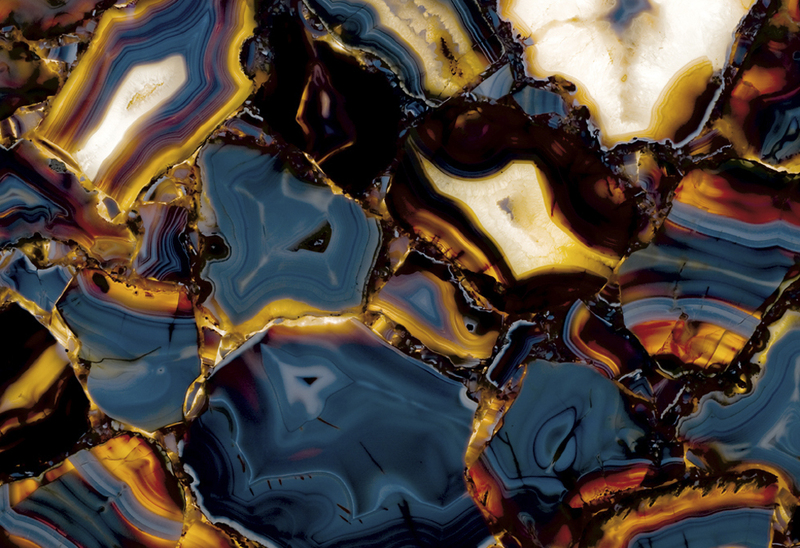 Onyx was used in Egypt as early as the Second Dynasty to make bowls and other items of tableware. 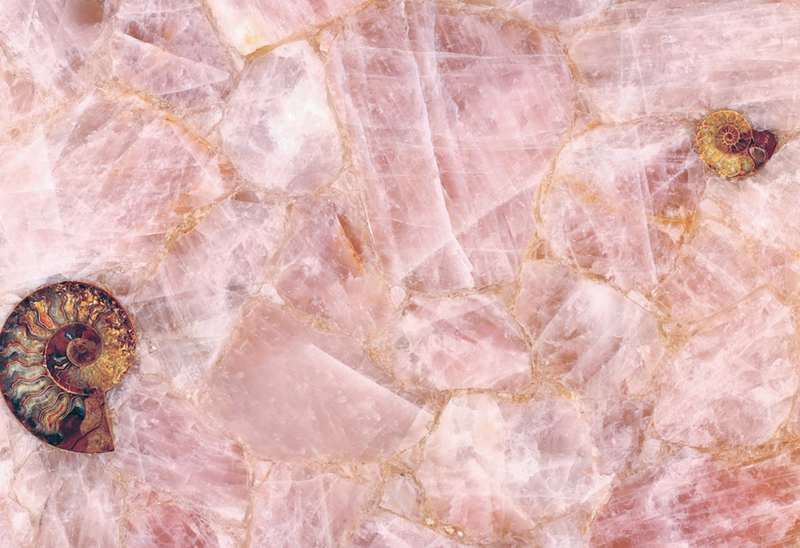 Sardonyx, a variant in which the colored bands are sard (shades of red) rather than black appears in the art of Minoan Crete, notably from the archaeological recoveries at Knossos. 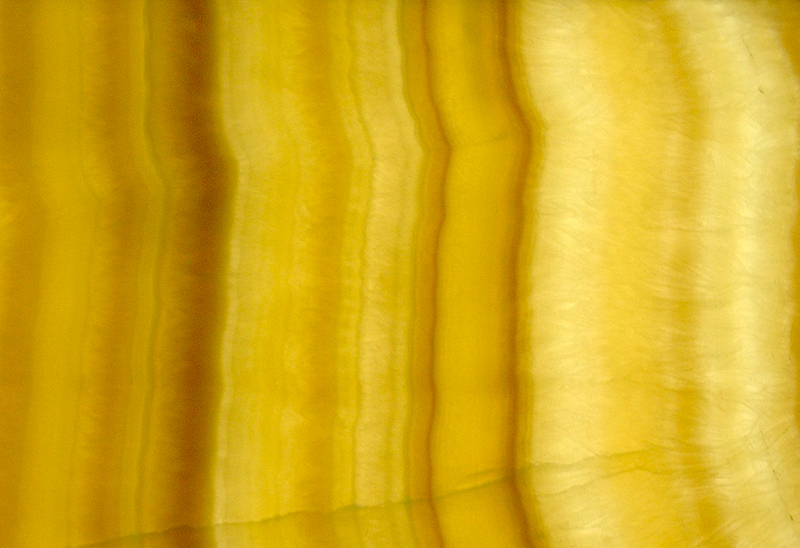 Onyx was known to the Ancient Greeks and Romans; the first-century naturalist Pliny the Elder described both types of onyx and various artificial treatment techniques in his Naturalis Historia. 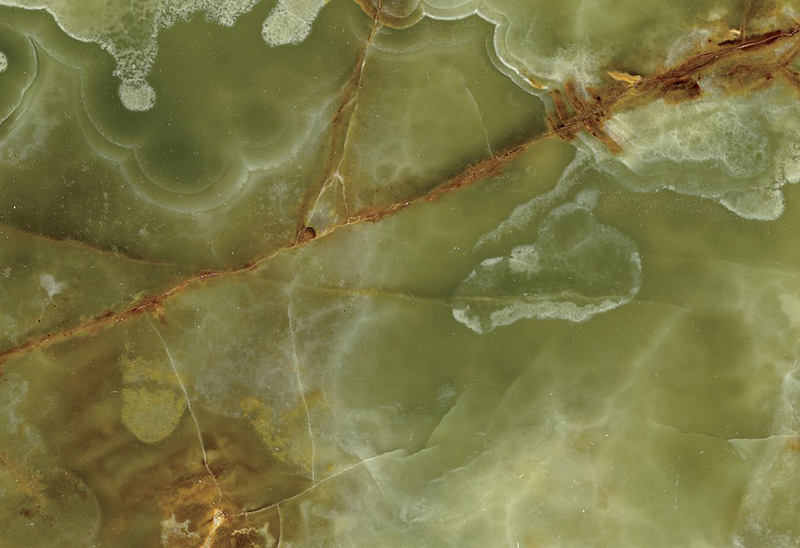 Slabs of onyx (from the Atlas Mountains) were famously used by Mies van der Rohe in Villa Tugendhat at Brno (completed 1930) to create a shimmering semi-translucent interior wall and the fascination with translucent stone materials continues to this day. Interior: Backlit wall panels (entire walls or feature panels); Opaque wall panels, with glass face protecting the stone; Partitions / wall dividers; Work surfaces, counter tops, bar tops; Furniture; Light fixtures; Signage; Illuminated floors; Illuminated ceilings; Entrance halls; Exhibition stands; Indoor balustrades. 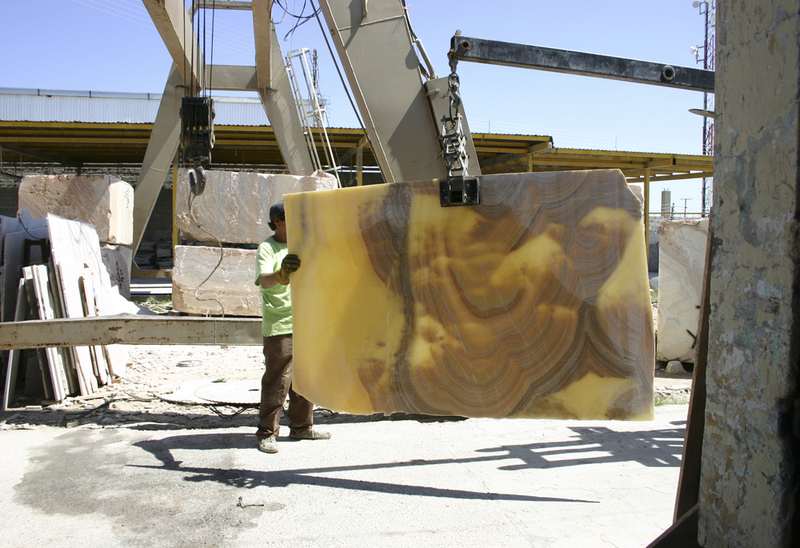 Other dimensions possible up to 3500 x 1500 mm, depending on the max dimensions of the stone. 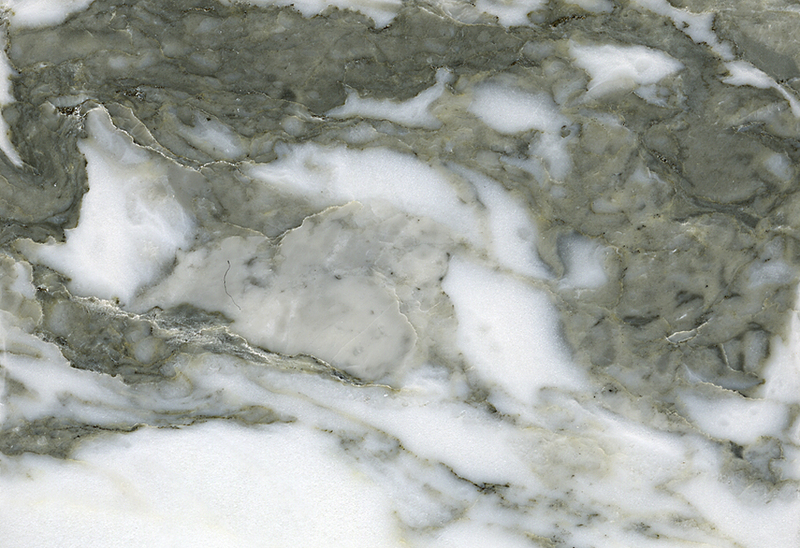 Prices vary dramatically depending on the choice of stone, its availability, the panel thickness and panel size. 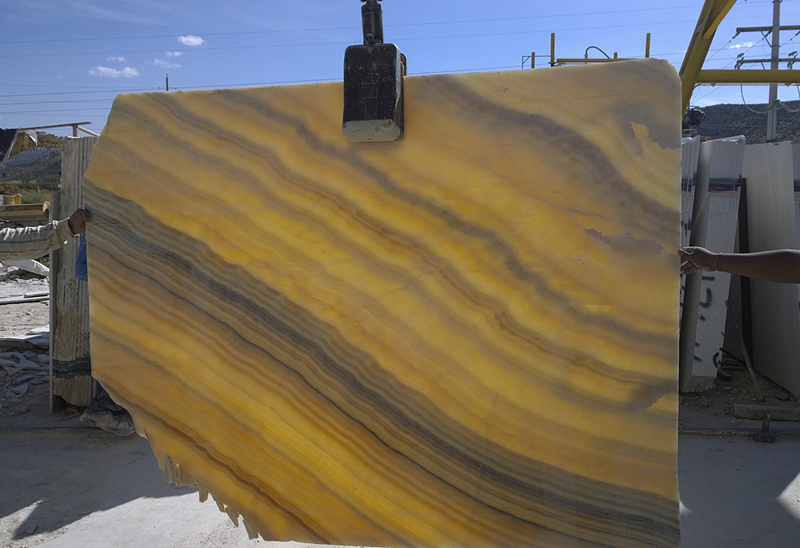 Interestingly, some of the striated, decorative materials are less expensive than the plainer stones. 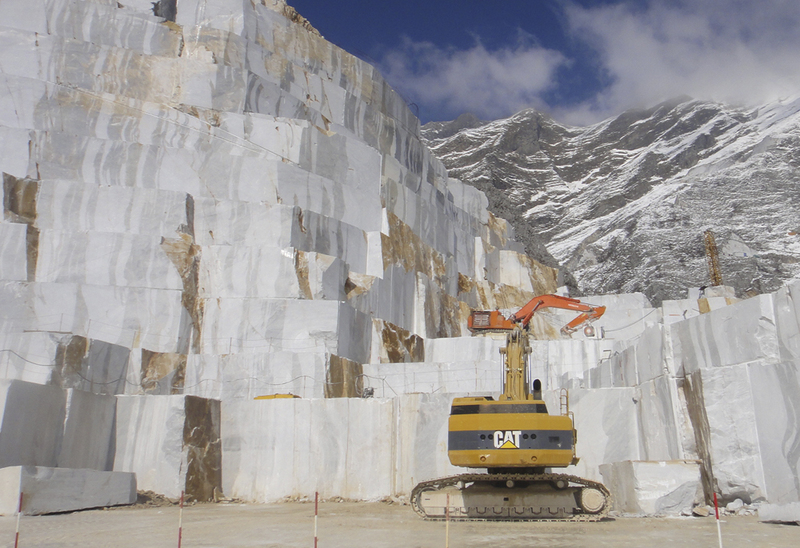 Extra Pure White Onyx is currently the most expensive material we supply. 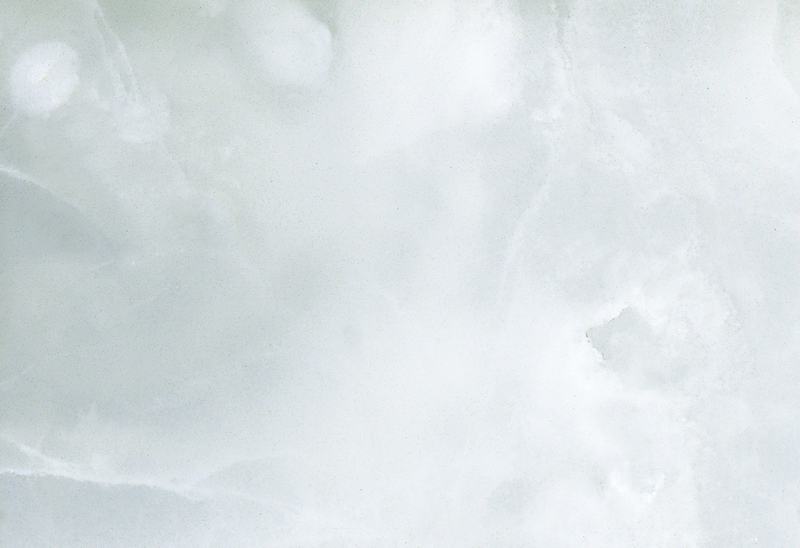 Typically, it is approximately 40% more expensive than ordinary white onyx, because it has little or no veining, ‘movement’ or inclusions of other minerals within it. Prices range from between £900 and £1,750 per square meter for small/medium scale projects but commercial discounts are available for volume on larger orders, calculated on a project-by-project basis. 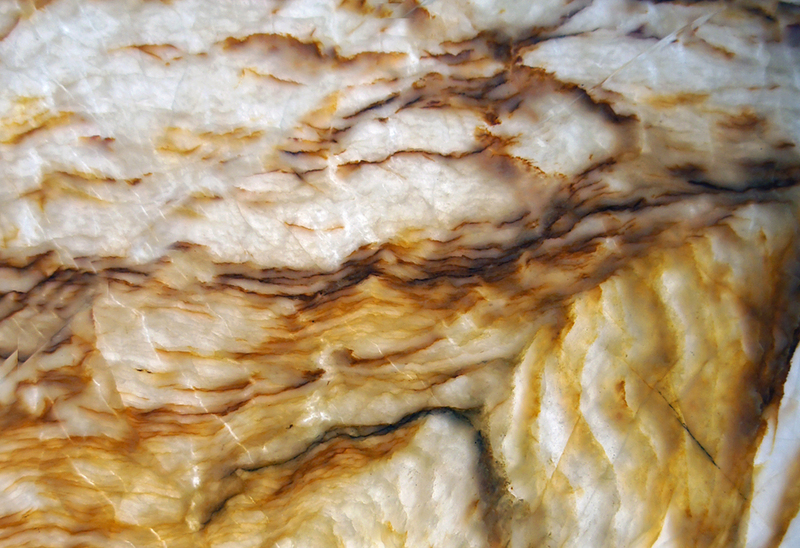 Please contact Artifex London to discuss your requirements for Glass-laminated Onyx or Glass-laminated Marble.